Dance action at the Williston Winter Festival, celebrating the Nama Riel. 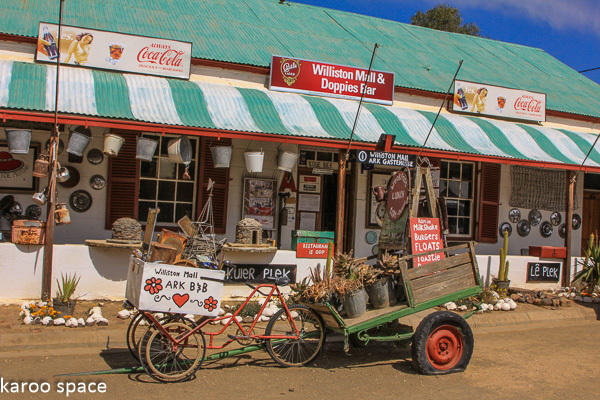 Old time Karoo festivals take the form of kerkbazaars, where locals gather around a churchy spot and buy each other’s koeksusters. That custom is still as beautiful as ever and it usually raises really good money for a raft of charitable causes. 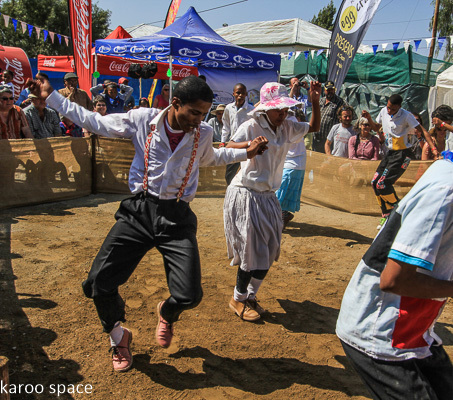 Then you have the commercial Karoo festival, where organisers pay vast sums to bring in big-name urban musicians. But that candy floss wagon, this tired food truck you last saw at a fees in Thabazimbi, that Biltong King, this Pizza Queen and that long line of creepy China Crap stalls is the downside of such an enterprise. It’s Groundhog Day for party animals. All the festival action happens in the courtyard of the Williston Mall. 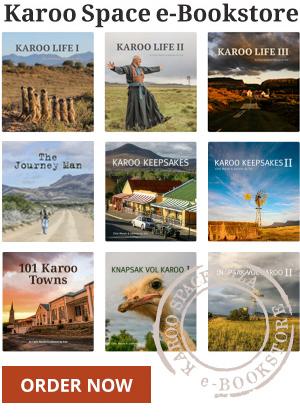 Enter the Karoo cultural festival, starring the annual Williston Winterfees, which actually happens in the first bloom of spring, when the Namaqua daisies make their seasonal debut and the Hard Man’s Karoo is all a-glitter with joy, promise and flower-bedazzled tourists with money to burn. Yes, there are all sorts of imported musicians on stage in the evenings at the Williston Mall. But in fact they’re just fluffers, support acts for the real stars of the region – the Nama Riel dancers. And when these blithe spirits take to the arena on the last and most important day of the Williston Winterfees and the dust begins to fly, you know you don’t really want to be anywhere else in the world but right here. Where you are. For the latest on the Williston Winter Festival, which begins on August 31, go HERE.